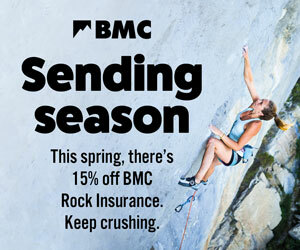 The first competition of the season kicked off with the BMC Open Youth Bouldering and Lead Events, where Seniors were eligible to compete in the Lead event also, and a Paraclimbing selection event. The competition took place over weekend of 24/25 February 2018 with Lead climbing happening at Awesome Walls Sheffield and Bouldering at The Depot Nottingham, while 18 athletes turned up for the chance to represent the GB Paraclimbing Team in the upcoming international competition season by entering the Paraclimbing selection event. Who would be crowned the winners? For the lead event the climbers had to complete two qualifying routes set an outstanding team of routesetters; Yann Genoux, Gavin Symonds and Max Ayrton. Yann is no stranger to the task at hand, having been chief routesetter for several National competitions and has set for multiple other national and international competitions. The routes mainly consisted of sloperific volumes and intense crimps. The Females lead the way with a tight contest between Edie Carr and Gwen Morgan in Youth C, with Edie claiming victory. There were further strong performances from Katherine Macdougall, Emily Phillips and Hannah Slaney in the other three categories, who all topped their final route. In the Males, Jack Macdougall lead the Youth C category and Hamish Mcarthur in Youth A category claiming the top of both routes in the qualifying rounds and the top of the route in the final. Sammy Oakes fought off fierce competition from a strong field of Juniors to claim top spot in this category with Daniel Smith also toping his final route. Day two saw everyone turn up at the Depot Nottingham to test their mettle on eight qualifying boulders set by Alex Fry, James Garden and Dave Barrans. The competitors had two hours and five attempts only on each of the eight blocs, with the top six going through to the final. The final had four blocs with four minutes to complete each bloc. The first finals were for Youth B and C categories, which saw Gwen and several Youth C males top each final bloc on their first attempt and Daniel Smith claim the top spot for the secoind day running in the Youth B category. Youth A and Junior ended on a tricky last bloc which saw Hamish and Max Milne top this problem to the delight of the crowd. So what a fantastic end to a great competition! I would like to thank: Lapis, Bleaustone, Captain Crux, Squdra, 23Holds and X-Cult for providing some fantastic holds. Petzl and Psychi for providing the prizes. Awesome Walls Sheffield and the Depot Nottingham for hosting us, not to mention all the competitors for making it a fantastic day, and all the parents, for judging, belaying, camera operating and the world-class team of route setters. Really surprised that the new ifsc rules regarding tops and then bonuses were not used. Why was this? Please inform us when are going to be implemented nationally. Had they been followed for this event the results (and in some cases the finalists) would have been different. Although, on the whole these events are well run, the lack of parent volunteers really needs to be addressed especially in some categories. I would also like to see some of the kids (and their parents) lighten up a bit, there were lots of tears and tantrums, it's supposed to be a FUN open event and the results this year don't affect national or European selections. I would not tolerate my own child behaving that way and I don't think it shows climbing in a very good light.